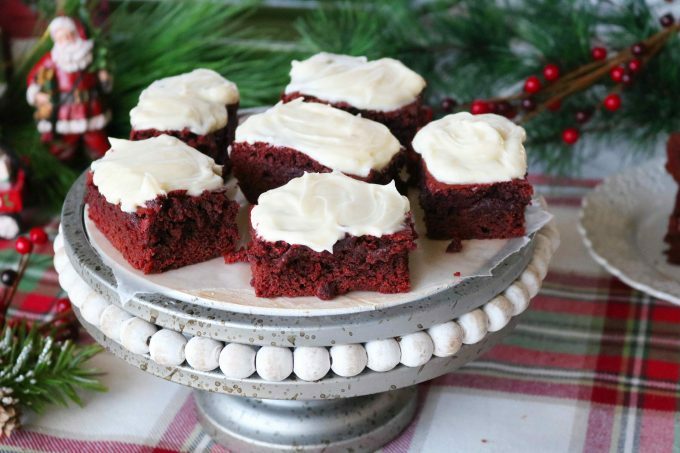 Red Velvet Brownies are the perfect holiday dessert. 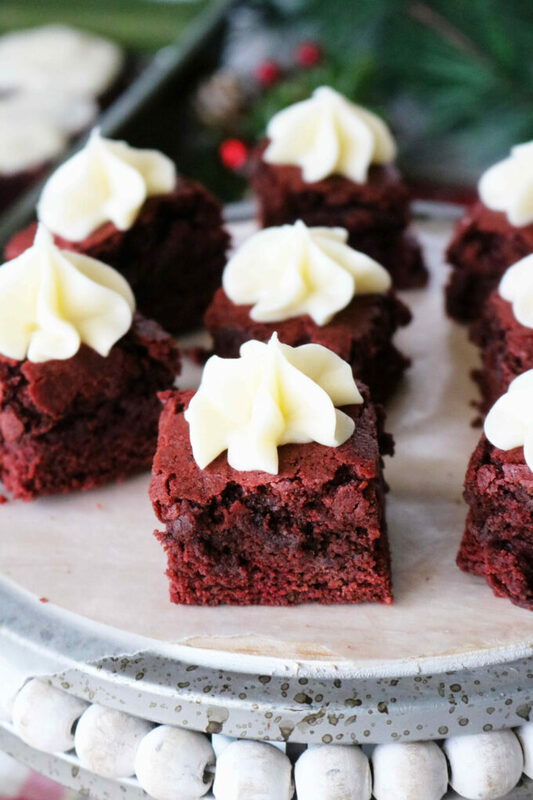 Whether you intend to bake up these beauties for a Christmas party, a Valentine’s Day gift for your sweetheart, or for your very own dining pleasure, these Red Velvet Brownies made from scratch, equipped with a simple Cream Cheese Frosting never disappoint. Today, in addition to a perfectly chewy Red Velvet Brownie recipe made easy with cocoa powder, we’ll briefly examine the history of red velvet, what it should taste like, why using vinegar over buttermilk is better for brownies, plus storage advice and make-ahead tips for your brownies! And, of course, no red velvet dessert could be complete without the addition of Cream Cheese Frosting! Avoid any potential hiccups with this one important tip to make a smooth and fluffy Cream Cheese Frosting on the first try! Nobody seems to know the true origin of the illustrious Red Velvet Cake, but A. Clarke with Serious Eats offers a likely explanation. It originated somewhere between the early 1900’s and the 1930’s when the popularity of layered cakes began taking off. These American-style, layered cakes were also known as “velvet cakes.” The term “velvet” simply indicated a cake with a tender crumb. Clarke further suggests that the cocoa was never meant to be used as a flavoring component for Red Velvet Cake, but rather a tenderizer. When cocoa reacts with acidic ingredients, it takes on a reddish, mahogany-like color, hence the red in red velvet. That little bit of cocoa might explain why people often have a difficult time interpreting the flavor of red velvet. You’ll likely find yourself tempted to call it chocolate…but is it really? Well, sort of. WHAT IS THE FLAVOR OF RED VELVET, EXACTLY? To say the least, red velvet is a mild flavor and a happy medium for those who couldn’t live without chocolate and those who most definitely could. Whatever form you’re consuming your red velvet in — a cookie, cake, cupcake, or bar cookie — you can expect it to come well-equipped with a heaping serving of cream cheese frosting, and I suspect, the frosting may have just as much of an allure as the red velvet itself. While the flavor of red velvet is certainly not screaming chocolate, it is indeed cocoa driven with just a hint of tang. Most red velvet cake recipes call for buttermilk, which adds acidity to baked goods. However, the addition of buttermilk doesn’t really make all that much sense in a brownie batter, but we’ll circle back to that one in good time. These brownies were created to bring the Red Velvet lovers everything they’ve come to love and know about red velvet in a handheld treat. The bar itself is soft and chewy in texture (just as a brownie should be), with hints of cocoa and just a touch of tang. WHY VINEGAR OVER BUTTERMILK FOR BROWNIES? Buttermilk in a cake batter makes perfect sense, however, adding buttermilk to bar cookies can get a bit tricky. Add too much and you’ve changed the consistency of your brownies, add too little and the flavor will not come through. This is why vinegar is a great substitution for buttermilk in our Red Velvet Brownies. While some may find vinegar a strange addition to baked goods, take solace in knowing the vinegar will not add a bitter taste to the batter, nor will it affect the sweet nature/texture of the brownies. It adds a faint hint of tang you would expect from a red velvet dessert, without affecting the consistency of the batter. Red Velvet Brownies come together just like any other bar cookie — quickly and easily. A quick stint in the microwave for the butter, a whisk of the dry ingredients, followed by the wet, then, it all comes together for a quick bake in the oven. 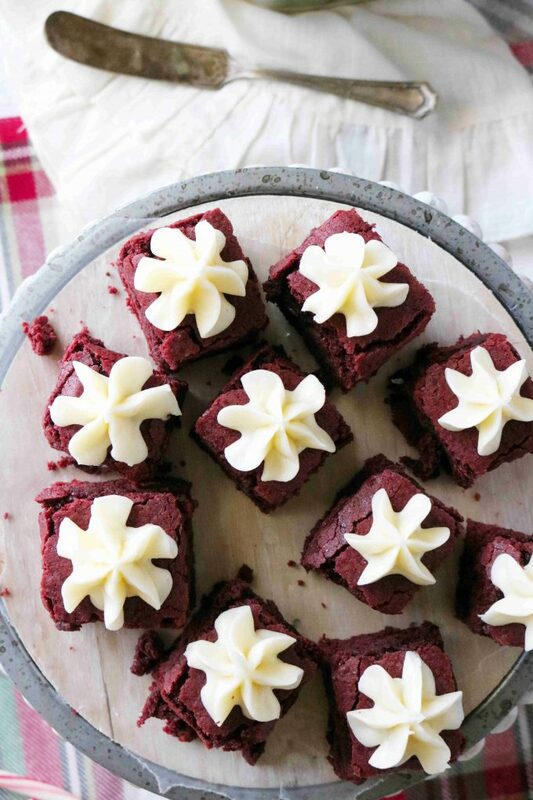 These Red Velvet Brownies can be cut and served in two different ways: in traditional brownie bar form with a slathering of cream cheese icing, or as cute little brownie bite squares. The squares are particularly wonderful for parties and entertaining. To make them extra special for presenting, I’ll often pipe on the cream cheese frosting using a large star tip fitted in a pastry bag. Mix together dry ingredients: flour, cocoa powder, baking soda, salt. Mix together wet ingredients: sugar, eggs, butter, vanilla, vinegar, and red food coloring. Bake at 350° for 28 minutes. Once the Red Velvet Bars have baked and cooled, they’ve officially become the perfect vessel for a fluffy Cream Cheese Frosting. Red Velvet is not always iced with a Cream Cheese Frosting…unless you’re in the South that is. In which case, it’s practically a sin not to. 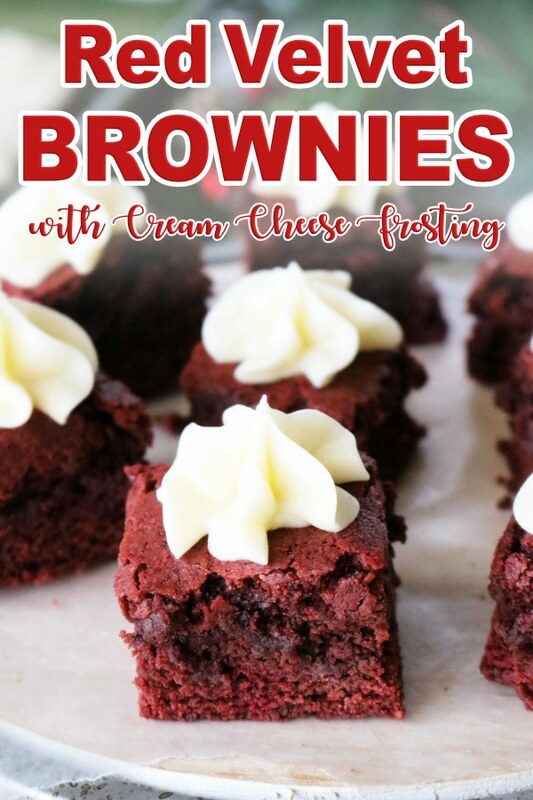 Cream Cheese Frosting for Red Velvet Brownies is extremely easy to make and it comes together very quickly. Mix room temperature cream cheese, butter, and sugar until smooth. The one thing you really want to pay attention to when it comes to making a frosting is the temperature of your ingredients. Cream cheese will typically come to room temperature within a couple of hours on the countertop. Butter, however, takes a bit longer. To bring butter to room temperature, I put it on the counter the night before I intend to do my baking, and it keeps just fine. 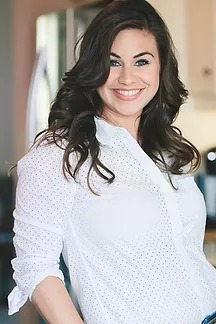 However, if you forget to put out your ingredients, place the cream cheese or butter on a microwave safe dish and microwave at 10-second intervals, turning the stick over after each interval. But, be sure to remove as soon as it starts to feel like it’s hit room temperature. If the butter or cream cheese is too warm, you’ll end up with a very wet, goopy frosting rather than a fluffy one. This could also be the case if you’ve added too much sugar, so be sure to pay attention while measuring out your ingredients. On the other hand, if the cream cheese and butter are too cold, the sugar will not disperse properly and you will end up with lumps of cream cheese throughout the frosting. To ensure your frosting is smooth and fluffy, make sure all of your ingredients are room temperature. Cream Cheese Frosting needs to be refrigerated. You can, of course, leave it out during the serving period, but as far as leaving it out overnight? Well, that’s a no-no. You can read more about safely storing your Cream Cheese Frosting in this article from Cook’s Illustrated. I’ve been making Red Velvet Brownies for years, and actually, used to have to make them a month or two in advance to keep up with orders when I was still running my at-home bakery. These puppies were in seriously high demand come Christmastime! To make Red Velvet Brownies well in advance, bake as directed and allow them to completely cool. Cut the brownies into bars or squares as desired, then simply place them in a snug, freezer-safe, airtight container, separated by sheets of wax paper for up to 2 months. Be sure to allow them to come back to room temperature before applying Cream Cheese Frosting. However, note, you can freeze them already iced. I always preferred to store them un-iced, however, you can store them iced, you’ll just need to take extra precaution when arranging them in the storage container, and I would highly suggest you don’t stack them. You can store Red Velvet Brownies without Cream Cheese Frosting at room temperature in an airtight container and they will stay fresh for 3-4 days. 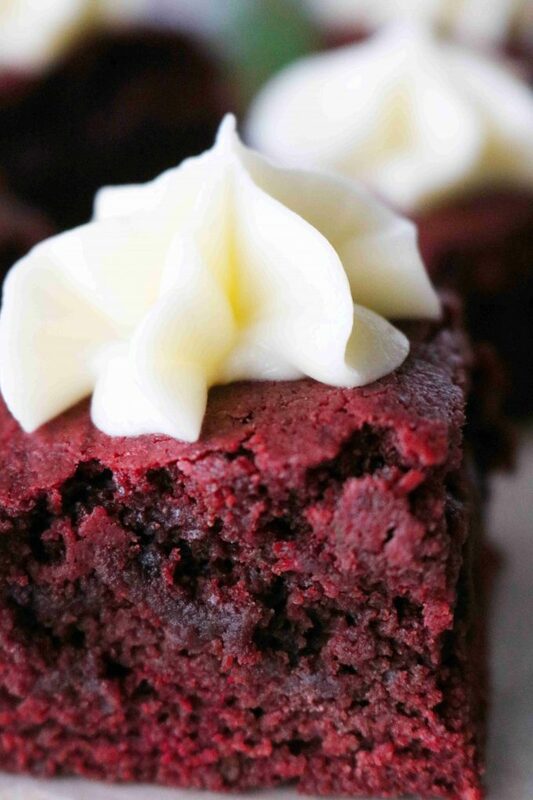 Store Red Velvet Brownies with Cream Cheese Frosting in the refrigerator in an airtight container. You can pull from your refrigerated stash for 5-6 days. Butter Pecan Blondies with Maple Cream Cheese Frosting is a rich and decadent Southern-style dessert bar. Brownies with a Strawberry Cream Cheese Frosting are stunning topped with an array of beautiful fresh berries. Classic Chocolate Brownies are soft, chewy, and loaded with big chocolate flavor. Fudgy Walnut Brownies are bite-sized with a quick-fix topping consisting of melted chocolate and chopped walnuts. Homemade Snickerdoodle Bars are not only easier to make than they’re cookie counterpart, but they’re also a guaranteed crowd-pleaser everyone will swoon for. 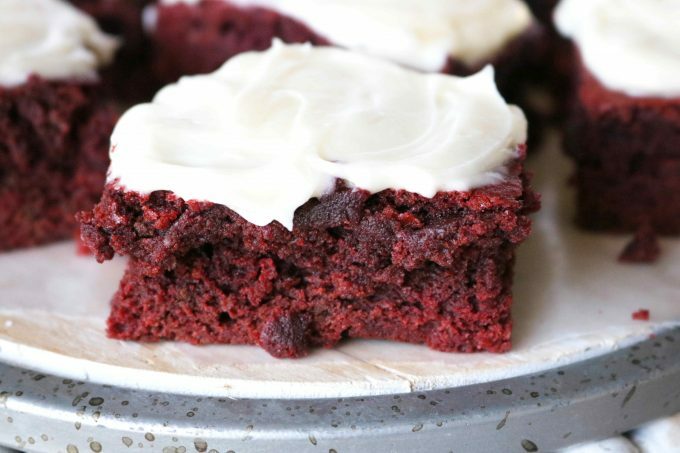 Perfectly chewy Red Velvet Brownies made with cocoa powder are seriously easy to make, and come equipped with a gorgeous, fluffy cream cheese frosting! Preheat the oven to 350° and have ready a greased, 8"x8" square baking dish. Melt the butter in a microwave-safe pitcher or bowl, and set aside to cool. In a medium-sized mixing bowl, combine flour, cocoa powder, baking powder, and salt. Whisk and set aside. Add the eggs to a large mixing bowl, and whisk. Add the sugar, vanilla, vinegar, and food coloring to the bowl and using a handheld mixer on medium speed (or a sturdy wooden spoon), mix until well combined. Slowly stream in the melted butter, mixing all the while. Add the dry ingredients and with the mixer on low, mix until just combined. Add the batter to baking dish, spread to the edges and smooth over the top. Bake for 28 minutes, or until cooked through. Remove from the oven and allow to cool on a wire rack. Allow the brownies to cool completely before icing. In the bowl of a stand mixer fitted with a paddle attachment, combine the cream cheese, butter, and powdered sugar. If you do not have a stand mixer, use a large mixing bowl and a handheld mixer. Begin mixing on low speed, until most of the powdered sugar is mixed in, then increase the speed to medium-high. Mix until well-combined. 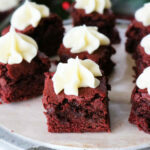 Spread the icing evenly across the red velvet brownies, cut into squares, serve, and enjoy. Yum. 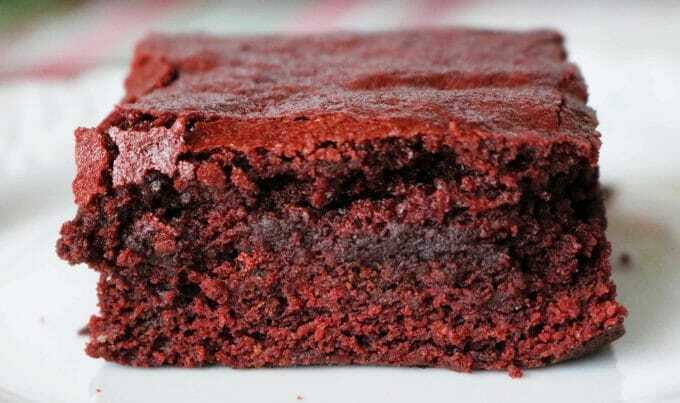 I love red velvet anything and these brownies look scrumptious! I love that you broke down how red velvet isn’t really considered chocolate because I’ve always wondered since it doesn’t have a lot of cocoa powder in it! Perfect explanation and even more perfect brownies! Thank you so much, Elaine! I love learning about the history of food 🙂 Glad to share! This is such a fun and festive treat for the holidays! I can’t wait to try it! They look so pretty and tempting. Can you believe I have never tried red velvet anything before? A perfect holiday treat ! I love how you wrote about the history and all the troubleshooting tips ! 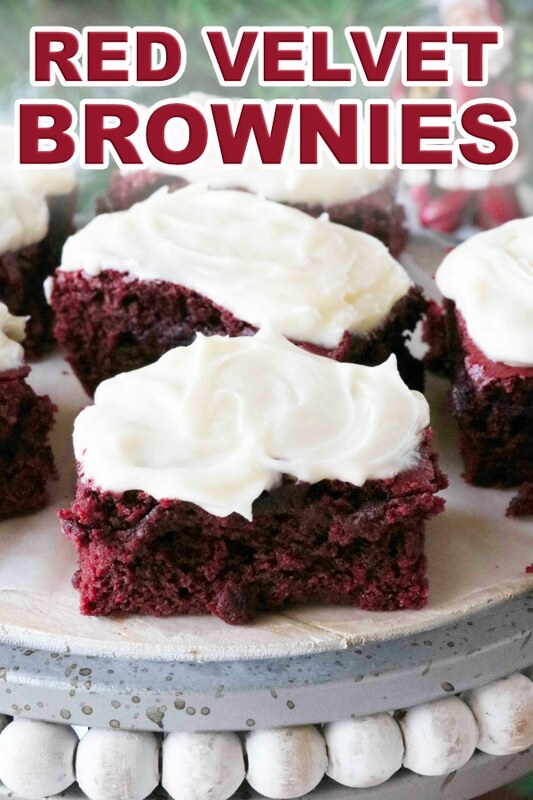 Thanks for posting this very detailed and helpful red velver brownies recipe. I found the history of red velvet quite interesting and vinegar was certainly a surprise ingredient! I’m sure these will turn out as scrumptious as they look. I totally love this idea. It would be a perfect valentines treat. Yum!!! Yes! It’s a super versatile dessert!